Please click the link above to view our latest newletter which summarises what we have been up to over the last 12 months. 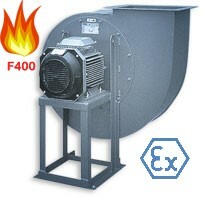 Ferrari Fan Technology are pleased to announce the launch our new ATEX rated F400 fire fan. This new product is available in limited sizes of our direct driven centrifugal FQ range, handing op-tions are LG0 and RD0. Each fan will be smoke rated at F400 which has been tested at 400 degC for 120mins, also the fan will be certified ATEX IIB 3G T3 for hazardous gases. The smoke rated certification meets the EN12101-3 for F400 and can be used for dual purpose of air ventilation and smoke extract in the event of a fire to provide safe evacuation. Fans will be supplied with an ATEX motor and will be suitable for Zone 2 Gases, which covers where an explosive atmosphere is not likely to occur but if it does will persist for a short period. These fans are ideal for pharmaceutical or chemical industries, they will allow safe working envi-ronment from hazardous gases and allow safe evacuation in the event of a fire. We are also offering a range of fan factory fitted features and accessories. 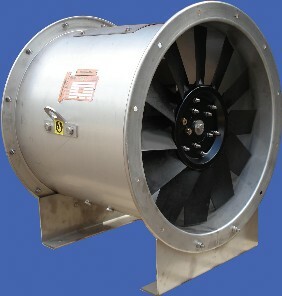 Ferrari Fan Technology are please to launch our new FRX range of single inlet centrifugal fans. These fans in direct drive execution with rotatable fan casings are available in 7 sizes from 315 to 630mm diameter impellers with volume flow rates up to 23,950m3/h. The fans are suitable for continuous airstream temperatures of 100 degC and up to 220 degC when supplied with cooling disc. We are also offering a standard range of fan factory fitted features and accessories. Ferrari Fan Technology are now able to offer inverter drives when buying fans from us. Inverter drives, also known as variable speed drives (VSD), are used along with the fan motor to either electronically program or manually change the speed of the fan. By adjusting the speed, you can regulate or even change the flowrate volume of air going through the fan. The reasons people are choosing to invest in inverters along with their fans is to save money, changing the speed to suit airflow demand can save on electricity. By reducing the speed to optimise your process can help reduce your carbon footprint. Also, if you are controlling the acceleration you can control the stopping which will reduce wear and tear of the fan preserving the life of the fan. The inverters we offer are of high quality and are manufactured and tested to best suit your requirements. Our inverters are easy to use and can save you time and money, they benefit from smart start technology, programmable for daily or weekly settings and fire shut off if required. All of our Ferrari Fans can be specified to suit an inverter drive to meet your specifications. There are many features and benefits to using an inverter and if you would like to know more please do not hesitate to give us a call or drop us an email. At Ferrari we offer a range of centrifugal and axial fans which can now be offered with a bespoke acoustic fan jacket. Wrapping fans in heavy duty jackets can reduce breakout noise levels considerably typically by 5dBA. 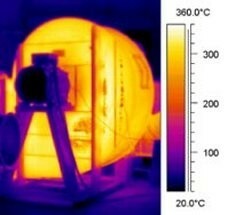 Fan jackets can also be used as heat insulators increasing safety for users by reducing external surface temperatures. Our jackets are manufactured using a range of materials suitable for high temperatures, corrosive resistance and can be used both internally and externally. These acoustic fan jackets are made to fit any type of fan and size. 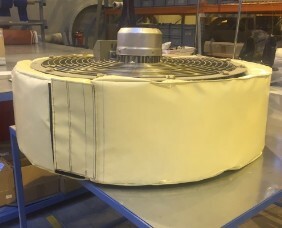 We are happy to arrange site visits to discuss retrofits for existing fans or when you order a fan through us we can supply your fan with an acoustic jacket to best suit you and your performance needs. 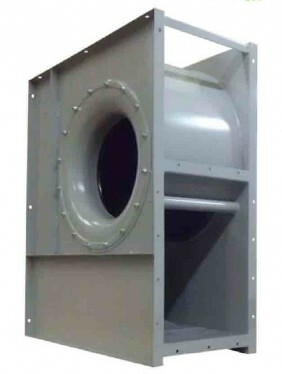 Ferraris FR range has a new addition, the FRC rigid direct driven single inlet centrifugal fan. The fan is manufactured to be freestanding, it's design provides physical protection to the fan case and in this standalone arrangement contributes to a more stable solution than the standard FR range with pedestal. The strong angular frame has predrilled holes allowing it to be bolted into a panel or enclosure. The FRC has a sheet steel case with backward curved impeller. 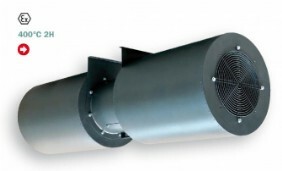 Designed to continuously circulate clean air from -20C up to 60C. The fan is supplied with a 3phase IE3 compliant 2,4 or 6 pole motor. The fan can be selected in a range of materials along with a variety of accessories. 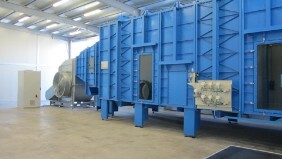 Ferrari have 2 specialist fan ranges for Paint Booth systems - a centrifugal and an axial solution. 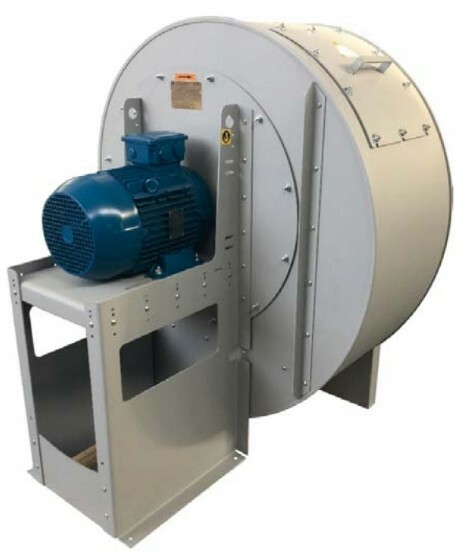 Both feature motors and drives out of the airstream and are available ATEX certified or as standard safe area fans. Ferrari Fans have introduced a new range of products specifically produced for the paint booth market. 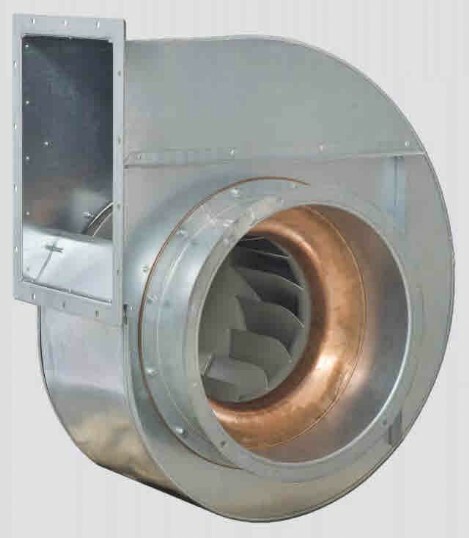 The fans capable of moving large volumes of air with low pressure are designed to allow mounting on the fan inlet flange providing horizontal exhaust. The fans are suitable for clean air or dusty air with maximum concentration of 50mg/m3. Fans are manufactured in mild steel with galvanised finish. Ferrari Fans EB range is a belt driven execution with transmission set placed inside the casing where it is completely isolated from the airflow and the motor is mounted on the fan case. It has adjustable pitch pressure die cast aluminium impeller blades on cast iron hub. As standard the fan case is supplied in galvanised steel but is also available in stainless steel grades 304 or 316. The plant allows the performance measurement of ventilating systems (both active and not) in conditions very similar to the real application and conditions. Furthermore, thanks to the accuracy and repeatability of the measurements, it is possible to make precise considerations about the effect of planning and construction variations of the plant where the fan is installed. The chamber also allows us to quantify the normalised performances of the fan, useful to certify the system performances and compare them with those declared for similar products (certified according to same standards). The fans are dual application in that they can be used for standard ventilation and for smoke extract in the case of fire. 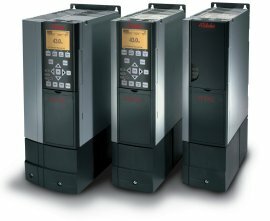 Testing was completed by BSRIA in their UK laboratory complete with inverter drives which permits speed control. The certification was verified and issued by BSI.